I'm honored to serve as a session chair in ISMAR 2015. Looking forward to meeting you in Fukuoka, Japan! Mar 30, 2015 I joined Magic Leap as a Senior Software Engineer. Mar 4, 2015 Successfully defended my PhD! Sept 15-17, 2014 Invited to attend the workshop "Taking AR to Next Level" held by Christian Doppler Lab on Handheld Augmented Reality at Graz, Austria. Sept 10-12, 2014 Presented my two first-auhtor papers at ISMAR 2014 (Munich, Germany). Summer, 2014 Spent a wonderful summer interning at Microsoft Research Redmond. Apr 8, 2014 Awarded Dissertation Completion Fellowship from the UNC graduate school. I am a Senior Software Engineer at Magic Leap, Inc.. I obtained my Ph.D. degree from the Department of Computer Science at the University of North Carolina at Chapel Hill in March 2015. My Ph.D. advisor is Prof. Greg Welch. I received my B.E. in Software Engineering from Beijing Institute of Technology in 2010. Ph.D., Computer Science, Department of Computer Science, University of North Carolina at Chapel Hill, 2010 — 2015. B.E. with Highest Distinction, Software Engineering, School of Software, Beijing Institute of Tecnology, 2006 — 2010. Hrvoje Benko, Eyal Ofek, Feng Zheng, and Andrew D. Wilson. FoveAR: Combining an Optically See-Through Near-Eye Display with Spatial Augmented Reality Projections. ACM Symposium on User Interface Software and Technology (UIST), Charlotte, NC, USA, Nov 2015. Research Intern, Natural Interaction Group, Microsoft Research, mentored by Dr. Hrvoje Benko, Dr. Eyal Ofek and Dr. Andy Wilson, Jun 2014 — Sept 2014. Conducted cutting-edge research on next-generation Spatial AR and Optical-See-Through AR. Research Assistant, Department of Computer Science, UNC-Chapel Hill, supervised by Prof. Henry Fuchs, Sept 2013 — May 2014. Invented a novel algorithm for minimizing latency in Optical See-Through AR displays and generated a provisional patent. 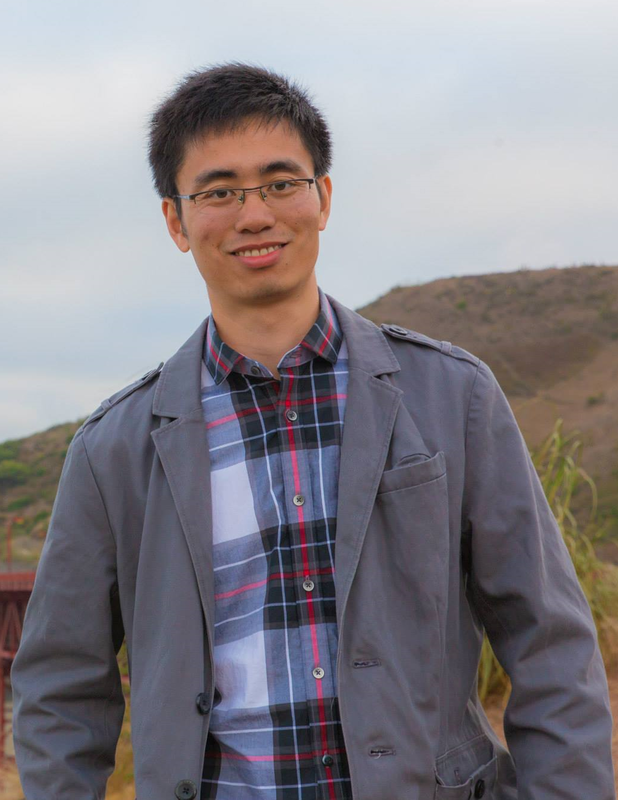 Research Intern, Visual Computing Group, Bosch Research, Palo Alto, CA, supervised by Dr. Liu Ren and Dr. Yu Sheng, May 2013 — Aug 2013. Teaching Assistant, Department of Computer Science, UNC-Chapel Hill, Jan 2013 — Apr 2013. Course title: COMP 110: Introduction to Programming. Instructor: Prof. Kye Hedlund. Mentored undergraduate students on Java programming and graded assignments and exams. Research Assistant, Department of Computer Science, UNC-Chapel Hill, supervised by Prof. Greg Welch and Prof. Henry Fuchs, Sept 2010 — Dec 2012. Developed new algorithms for projector-based Spatial AR, including projector-camera calibration and tracking. Undergraduate Research Intern, Center for Biometrics and Security Research, Chinese Academy of Sciences, supervised by Prof. Stan Z. Li, Oct 2009 — Apr 2010. Developed an accurate model-based single-view face reconstruction method, using active shape model for feature localization and level set for facial boundary segmentation. Undergraduate Research Assistant, School of Software, Beijing Institude of Technology, supervised by Prof. Hongsong Li, Nov 2008 — Jul 2010. Created the first tangible AR interface for crowd and multi-agent simulation with intuitive marker-based gestures. Dissertation Completion Fellowship, UNC, Apr 2014. ISMAR Doctoral Consortium Award, Nov 2012. Microsoft Innovative Team Fellowship, School of Software, BIT, Jul, 2009. Honor of Excellent Student, School of Software, BIT, 2007/2008/2009. Outstanding Student Scholoarship, School of Software, BIT, 2007/2008/2009. Reviewer for conferences SIGGRAPH Asia 2014, ISMAR 2014, VR 2014, 3DUI 2014, and journal Presence. Invited attendee, “Taking AR to Next Level” workshop, Christian Doppler Lab on Handheld Augmented Reality, Graz, Austria, September 15-17, 2014. Conference presentations at ISMAR 2010, ISMAR 2012, VR 2013, and ISMAR 2014. Student volunteer for VR 2013 at Orlando, FL.